In order to help preserve our planet’s natural resources, many of the world’s greatest thinkers and scientists throughout history have observed a vegetarian diet and affirmed its necessity from the standpoints of both morality and logic. For example, Sir Isacc Newton, “the father of physics,” and Leonardo Da Vinci, a part-time physicist who made major discoveries in hydraulics, optics and mechanics were both vegetarians. In fact, Da Vinci was so fervent about vegetarianism that he would buy caged chickens and set them free. In addition, Srinivasa Ramanujan (1887-1920), considered the greatest mathematician of the last 1000 years, was also vegetarian. 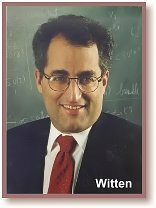 Since Einstein presented his groundbreaking theory of relativity a hundred years ago, the world has not seen an equal to his genius; however, one contemporary physicist, Edward Witten, is viewed by many as his successor and is also known as the world’s foremost string theorist* and mathematician. Besides his scientific prowess, Witten is similar to Einstein in that he is a vegetarian and works on the same physics problems in the same Princeton University building as Einstein did. 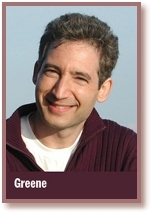 Witten’s most famous protégé is Brian Greene, who has refuted Einstein’s theory that space can stretch but not tear. By the age of nine Greene could multiply thirty-digit numbers in his head, and of course, he is also a vegetarian. Below are excerpts from an exclusive interview on science, morality and vegetarianism that Mr. Greene conducted for The Supreme Master Ching Hai News. Q: Why do you think so many of the greatest geniuses have been vegetarian? B: From my limited experience, vegetarians typically are people who are willing to challenge the usual, accepted order of things. Moreover, they’re often people willing to sacrifice their own pleasures in pursuit of what they believe is right. These same qualities are often what’s needed to make great breakthroughs in the arts and sciences. B: Quite literally, it was a dish—spare ribs—that my mother cooked when I was nine years old. The ribs made the connection between the meat and the animal from which it came direct; I was horrified and declared I’d never eat meat again. And I never have. Going vegan happened later. I visited an animal rescue farm in upstate New York and learned much about the dairy industry which was so disturbing that I could not continue to support it. Within days I gave up all dairy. From the examples above we can see that eminent scientists throughout history have affirmed the advantages of a vegetarian diet from the standpoint of morality and compassion and also from the perspective that it is necessary to ensure the welfare of our planet. So, merely by changing our eating habits we can bring infinite benefits to humankind. 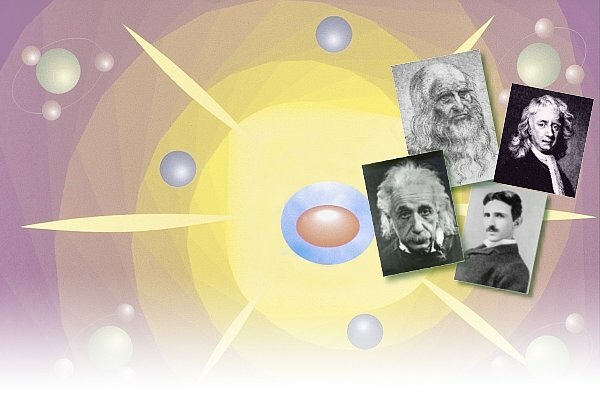 Note: String theory is a model of fundamental physics whose building blocks are one-dimensional extended objects (strings) rather than the zero-dimensional points (particles) that are the basis of the Standard Model of particle physics. It is the leading candidate for a “theory of everything” stating that the universe is ultimately composed of vibrations.